Rice is known around the world as a nutritious food. 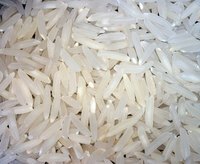 When rice is cooked correctly, it can be delicious, but rice can be undercooked or overcooked. Aroma rice cookers solve that problem by cooking all kinds of rice and automatically shutting off when the rice is ready. They are available in several sizes, so you can choose the one that best fits your needs. Rinse one cup of rice lightly in a strainer for a minute or two. Do not overrinse to avoid losing too many nutrients from the rice. Pour 1 cup of rice into inner pot of the Aroma rice cooker using the measuring cup that comes with the Aroma rice cooker. If it did not come with one, use a regular measuring cup but adjust the amount of rice to 3/4 cup instead of 1 cup. Add water to the rice according to package directions. Some Aroma rice cookers have fill-level marks on the inside of the pot as a guide for food and water fill points. Add any chopped vegetables or spices desired. Place the inner pot filled with the water and rice back into the rice cooker. Cover with the lid and turn the cooker on. Leave the rice to cook. The Aroma rice cooker will stop when the rice is finished and switch to a warming mode. A light will come on to alert you that the cooker has switched to warming mode. Some models have a pop-up timer that indicates when the rice is finished. Wait 10 minutes and remove the lid. Stir the rice and serve. Some models of Aroma rice cookers have an automatic rinse cycle. If the rice cooker you're using has this, skip the manual rinsing step. Some Aroma rice cookers have separate settings for brown or white rice. Do not add more rice or water than is recommended by the Aroma rice cooker directions. Do not look into the pot while removing the lid; escaping steam may cause a burn.